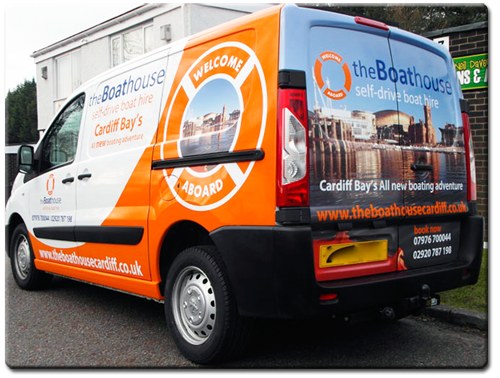 Founded in 1987 trading as Neil Davey Signwriter and using traditional methods. In 1996 I became Neil Davey Signs to incorporate the growing demand for computerised sign solutions in the industry. Prior to setting up the business I spent four years as an apprentice learning my craft and on completion worked for three years in a local sign business. My aim is to offer a complete signage solution to all of my customers no matter what their needs. My commitment to excellence is paramount whether you are looking for a small honours board for a school or club, a simple set of health and safety signs for your business, signs for your shop front or a full vehicle signwriting service for your corporate fleet. I have the experience and the facilities to produce all kinds of designs and signs. In some projects I will follow traditional routes such as hand painted lettering. In others we can use state of the art digital solutions to produce designs and signs by computer. I also have experience in airbrushing, pinstriping and the creation of decorative art and murals. My principle aim is that your sign must ultimately serve its purpose but it must also give the right creative impression.